 The Klein College of Media and Communication is now accepting nominations for the 2019 Lew Klein Alumni in the Media Awards. We will also honor one young alumnus who is working in the fields of media and communication with the 2019 Rising Star award. Rising Star nominees must be graduates of the classes of 2008-2018. All recipients are required to attend the fall award ceremony. Nominations are due by Friday, February 22, 2019 by 11:45 p.m. Nominations for the 2019 Lew Klein Alumni in the Media Awards are closed.